Are you spending Thanksgiving in the Washington, D.C. area this year? Thanksgiving weekend kicks off the holiday season and many wonderful seasonal activities and events begin in Washington, D.C., Maryland and Northern Virginia. Here are some ideas of fun things to do in the capital region during the holiday weekend. Thanksgiving Dinner at Restaurants in the Washington, DC Area - Let someone else do the cooking this year! Here are some suggestions of nice restaurants that serve Thanksgiving dinner in Washington, D.C., Maryland and Northern Virginia. Enjoy a festive holiday meal with all the trimmings. Thanksgiving Dinner To Go - Pick up delicious dishes professionally prepared and spend the day with your guests, not stuck in the kitchen. Find out where to find turkey, side dishes and desserts specially prepared to go in the Washington, D.C. area. Black Friday in the Washington, D.C. Area - On the day after Thanksgiving, many Washington, D.C. area retailers open their doors early to attract shoppers with special deals and bargains for the holiday season. Some shopping malls and large retailers even open at midnight. See the schedule of early openings in the capital region. Volunteer for Thanksgiving - Find a variety of charitable organizations that need volunteers to prepare, serve and cleanup holiday meals for the poor. Lend a helping had to your community. Turkey Trots in the Washington, D.C. Area - A variety of organizations sponsor trots, runs and walks for fun or to raise money for the needy. Enjoy an active jaunt before your holiday feast. Reston Town Center Holiday Parade - Friday, November 23, 2018. The Reston community kicks off the holiday season with a full day celebration including a holiday parade, visits with Santa, a Christmas tree lighting ceremony and more. Six Flags America - Holiday in the Park - The amusement park offers a holiday celebration featuring millions of glittering lights, holiday entertainment, seasonal treats, Santa’s Village, and many popular rides. Holiday Shows in the Washington, D.C. Area - Throughout the holiday season, you will find a wonderful lineup of live performances in D.C., Maryland and Northern Virginia. Find A Christmas Carol, Season's of Light, Twas the Night Before Christmas and a variety of unique holiday shows. National Mall - Thanksgiving weekend is a popular time to visit the Smithsonian museums and Washington, D.C.’s famous monuments and memorials. Top 10 Places to Visit with Out of Town Guests in Washington, D.C. - Chances are that your out of town guests have been to Washington before and have explored the National Mall. There are lots of other interesting places to explore in the nation’s capital. Here are some suggestions of places to visit over Thanksgiving weekend. Season’s Greenings at the United States Botanic Garden - During the holiday season, the U.S. Botanic Garden presents a unique exhibit featuring model trains and incredible replicas of Washington, D.C.'s most famous buildings and monuments. ICE! – Christmas at the Gaylord National Resort - The award-winning holiday attraction is a winter wonderland created entirely of 5,000 BLOCKS of ice weighing 2 MILLION POUNDS! hand-sculpted by 40 international artisans and kept at a chilling nine degrees Fahrenheit. Christmas Light Displays in the Washington, D.C. Area - Celebrate the holiday season with a drive or a stroll through one of the Washington, D.C. area's spectacle of lights at a local park in the suburbs of Maryland. These Christmas light displays are beautiful and a great way to share the magic and joy of a winter wonderland. Mount Vernon Candlelight Tours - Martha Washington hosts an 18th-century Christmas with candlelit walks, fireside caroling, and festive décor during Mount Vernon by Candlelight. Christmas Tree Lighting Ceremonies in the Washington, D.C. Area - See the calendar of community tree lighting events around the capital region. This weekend's events will be held in CityCenter DC, Annapolis, Alexandria, Reston, Leesburg, Tysons, and Fairfax. The Nutcracker - The Washington, D.C. area has a wide range of theaters to enjoy the Christmas classic ballet - the Nutcracker. Many performances start on Thanksgiving weekend. Maryland Christmas Show at the Frederick Fairgrounds - Enjoy the works of 500 artists and craftsmen offering fine art, pottery, furniture, quilts, jewelry, clothing, wreaths and garlands, toys and Christmas ornaments at the Frederick Fairgrounds in Maryland. Cut Your Own Christmas Tree in the Washington, D.C. Area - A great way to start the season is to take the whole family out to a Christmas tree farm and cut your own Christmas tree. 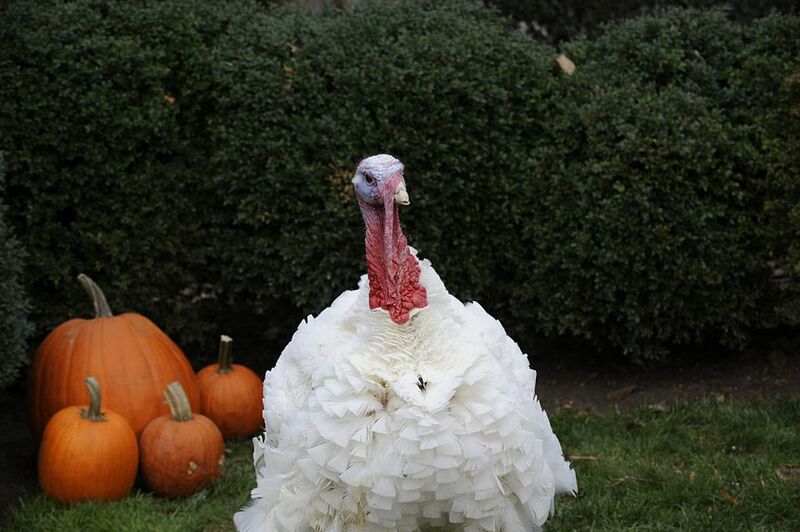 Presidential Turkey Pardon - The White House tradition of pardoning a live turkey has become of great interest. See photos and learn about the history of this annual event.